Needless to say, it’s imperative that older adults are protected from the elements when they venture outdoors during the winter. It’s not just cold temperatures that are the issue. Slippery, snow-covered walkways also need to be watched out for. 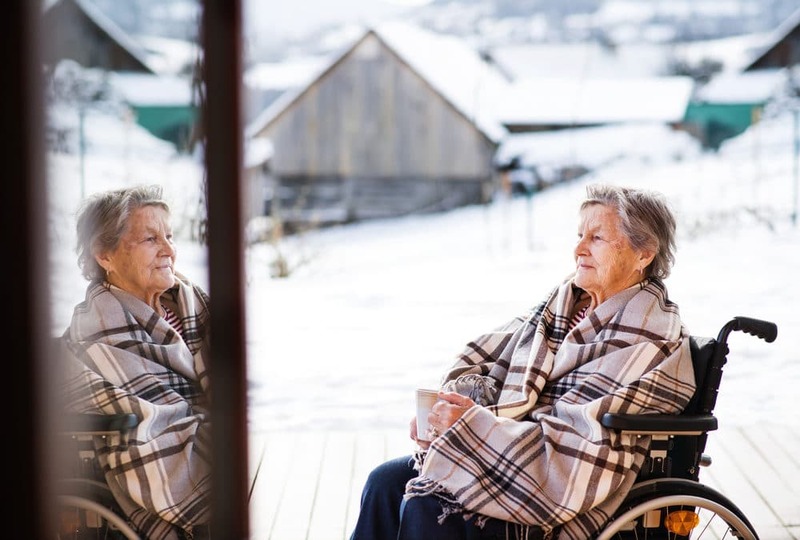 Naturally, taking extra special care to be safe is of the utmost importance for seniors when the winter weather hits. Keep your elderly loved one hydrated. All throughout the summertime, you probably receive a lot of advice about drinking water. And it’s all good advice too. Being hydrated is a key to overall health. But when weather conditions are such that you can become dehydrated, drinking water becomes increasingly important. Don’t assume that because the weather is cold, water isn’t as necessary. On AgingCare.com, Anne-Marie Botek reminds us how important it is for seniors to stay hydrated during winter. Winter maintenance for your car should not be underestimated. Firstly, invest in winter tires if you haven’t already. Taking chances with tires that provide less traction on cold and slippery surfaces is simply not worth it. Secondly, proper maintenance that will get your car winter-ready helps to ensure that your older family members are kept safe during any transport within your vehicle. As we’re all aware, snow and ice make for very dangerous walking conditions. Especially if your elderly loved one battles with mobility issues, it’s best to keep him/her inside when the sidewalks become too slick. Be sure to salt your driveway and walkways and always provide assistance to your older adult if it’s absolutely necessary for him/her to venture outdoors. Use a walker, rollator or wheelchair. Protect your elderly loved one from slipping and falling this winter. Investing in a mobility solution such as a walker, rollator or wheelchair can go a long way in ensuring his/her safety. If you have any questions about the mobility solutions offered by Advantage Home Health Solutions, please don’t hesitate to give us a call at 403-460-5438. You may also email us by filling out the form on our Contact page!